Today is Memorial Day, the annual national observance for those service men and women who lost their lives in war (as opposed to Veteran's Day in November, which recognizes all who served). You'll hear the words of The Battle Hymn of the Republic played all over the US today. This day is often observed with parades, patriotic concerts, and remembrance ceremonies at military memorials and cemetaries. It is vital and important to remember the lives lost at war in Vietnam, Korea, WW I & II, Iraq and Afghanistan, etc. But today I am thinking about those veterans whose lives were lost in their own home country by suicide. It is estimated that 22 veterans take their own lives every day, and one on active duty kills him/herself every day. Suicide rates among veterans are 50% higher than those of the general population. The VA has published its own statitistics and strategies for addressing this epidemic. 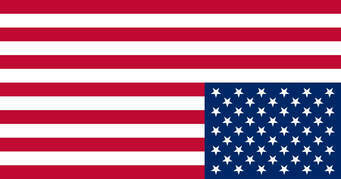 The upside down flag is a universal call for distress, not protest. I'll wear it not only for the men and women who have committed suicide, but also for their grieving families. I would encourage others to wear their flagpins upside down today as well. It may well inspire conversations where we could share our concerns for veterans facing their own personal crises. It's also a call for the health services we offer to veterans, physical and mental, to be more effective and easily accessible. The call to serve one's country must be met by the rest of us with a commitment to care for each one who serves so that they may live their lives with the dignity and respect they deserve. I offer the following prayer litany today, which does not formally mention suicide, but there is certainly room for it in the prayer of remembrance for the lives lost in war. PEOPLE: WE GIVE YOU THANKS, O GOD. Leader: O almighty God and most merciful Father, as we remember these your servants, remembering with gratitude their courage and strength, we hold before you those who mourn them. Look upon your bereaved servants with your mercy. As this day brings them memories of those they have lost awhile, may it also bring your consolation and the assurance that their loved ones are alive now and forever in your living presence.